Martine Croxall is now in E for Afternoon Live. I’m sure some of you on here will know the answer to a question I have regarding when an attack becomes a ‘terror’ attack in the news? 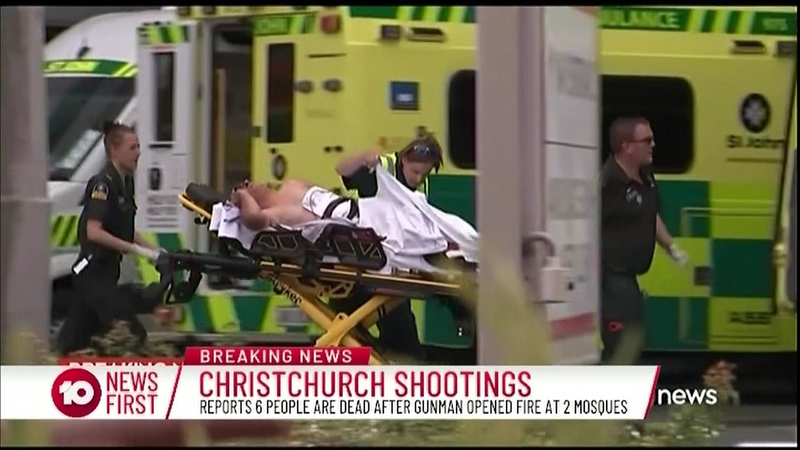 Obviously a lot of people online get annoyed when various news outlets will say ‘mass shooting’ or ‘shooting attack’ instead of ‘terror attack’. I’ve always taken a ‘terror’ attack / act of terrorism to imply that there is a group that the person/s are acting on due to a call for attacks from an organisation such as ISIS or the IRA for example. Carrying out an attack as part of being a member of that belief, where as a ‘shooter’ implies that the person was acting on their own for whatever reason without being ‘told’ to carry out an attack as part of any group etc. I.e the Manchester arena attack was a terrorist attack as the bomber carried out the attack on behalf of ISIS. 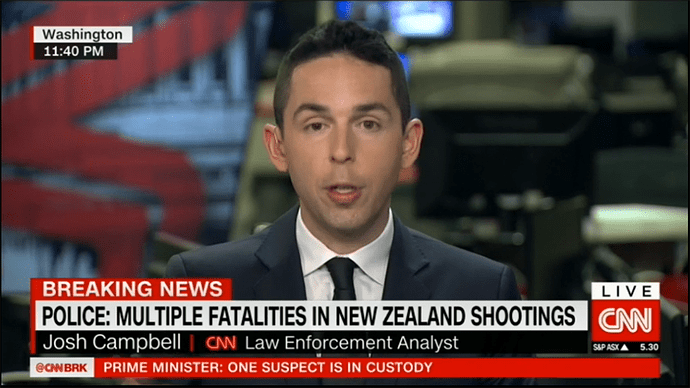 Is this the way that news outlets define a ‘terror’ attack? I’ve noticed in the past where they have started to report a shooting and later have said ‘we can now confirm that this was an act of terrorism’, possibly due to links that the person had with a bigger organisation / group. 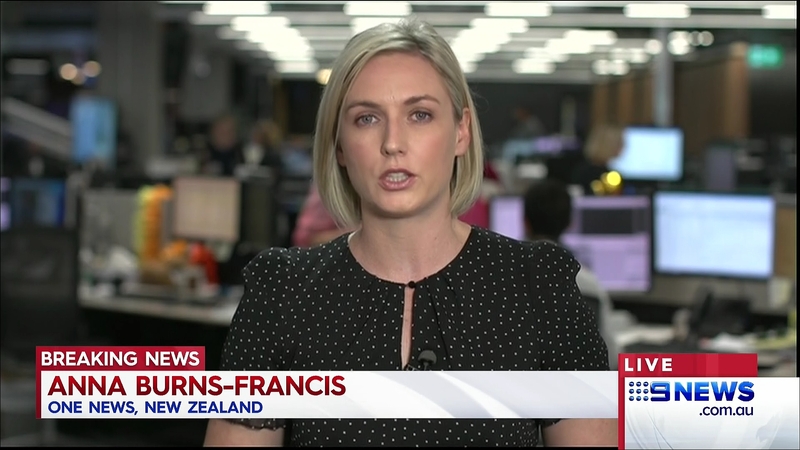 GMB this morning had TV3's NewsHub Emma Cropper reporting live from one of the hospitals in Christchurch. Emma Cropper was also on the NC/World simulcast as well. In this case there was a clear manifesto and an intent to disseminate fear via violence to promote an (abhorrent) ideological cause - I think that clearly meets the definition of terrorism according to media outlets. Terrorism isn't just organized cells giving someone commands, clearly in this case far-right rhetoric would constitute a radicalizing force. 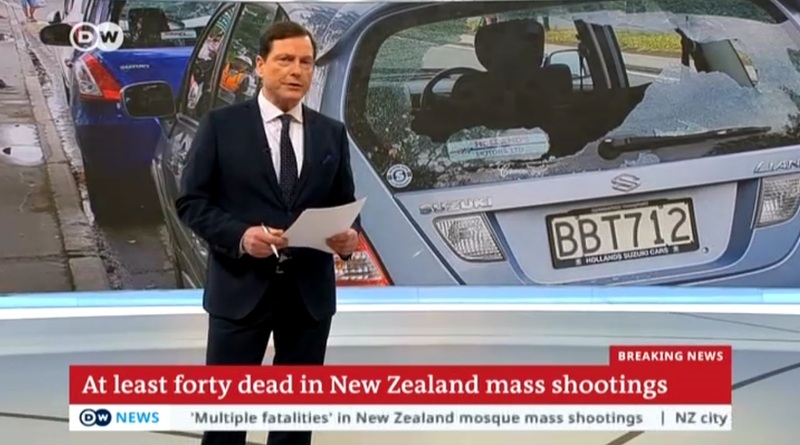 Today highlights lack of international news presence in New Zealand. 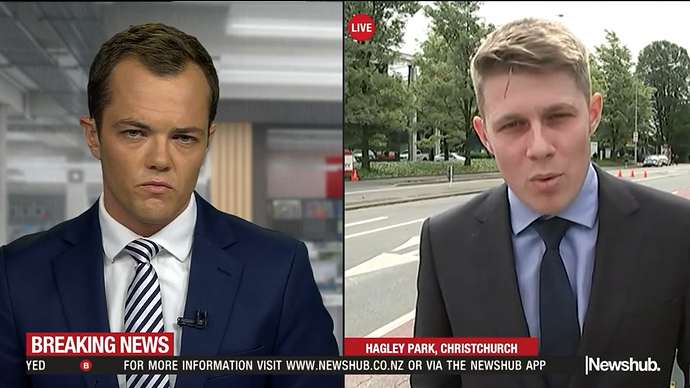 I understand that very little happens that makes international news but virtually all the reports I've seen come from New Zealand have either been fro Three Newshub or One News reporters. This includes pictures that came out and the pressers from the PM and police. Do news agencies like Reuters, AP and so on not have people on the ground there? 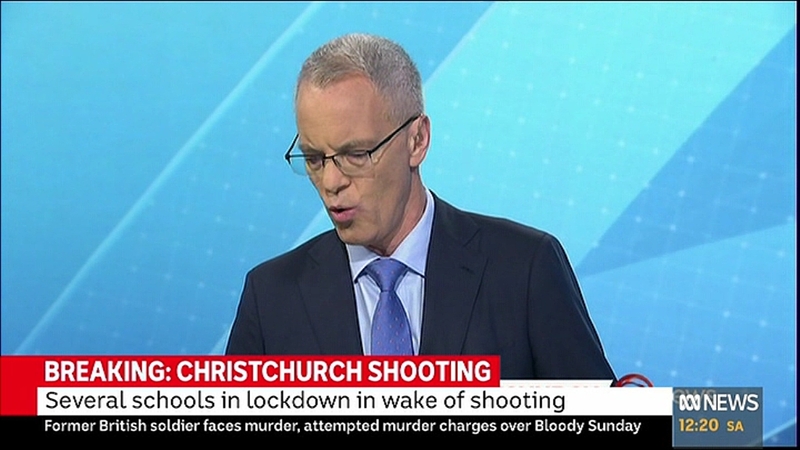 I know you wouldn't have reporters in NZ in the event something newsworthy happens for UK audience, but you'd think it would have a higher counter of foreign journalists there then it currently does. Even the Australian news coverage I've seen used the said reporters above. 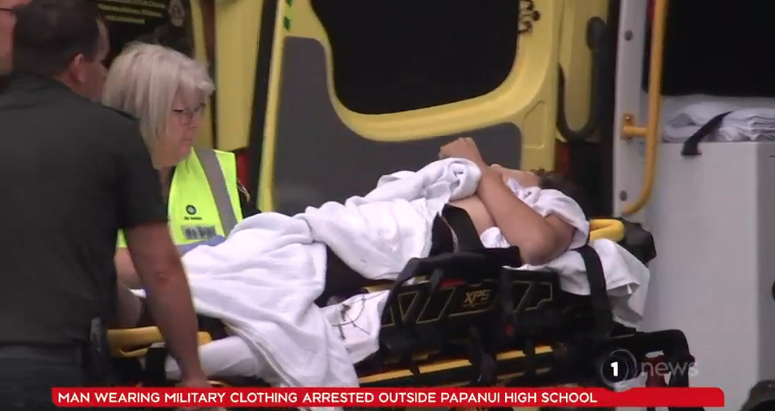 From a radio perspective, I've put on Newstalk ZB which seems to be the LBC of New Zealand where John from Auckland can give his 'expert' opinion of the attack. 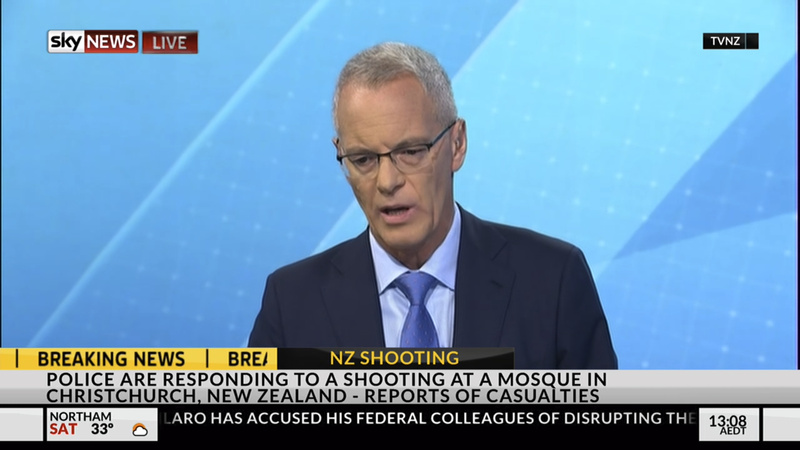 Can't speak for the BBC or ITV, but AIUI (please correct me if I'm wrong) Sky News doesn't even have a dedicated Australia correspondent anymore. ISTR when the Sydney cafe siege took place a few years back, they were quite lucky in that Lorna Dunkley happened to be on holiday in Melbourne at the time, and so they flew her up to Sydney to report on the siege. Ah, Newstalk ZB! Yes, 'the LBC of New Zealand' is indeed an accurate assessment. Lots of strong opinions on there (some might say egos, too). 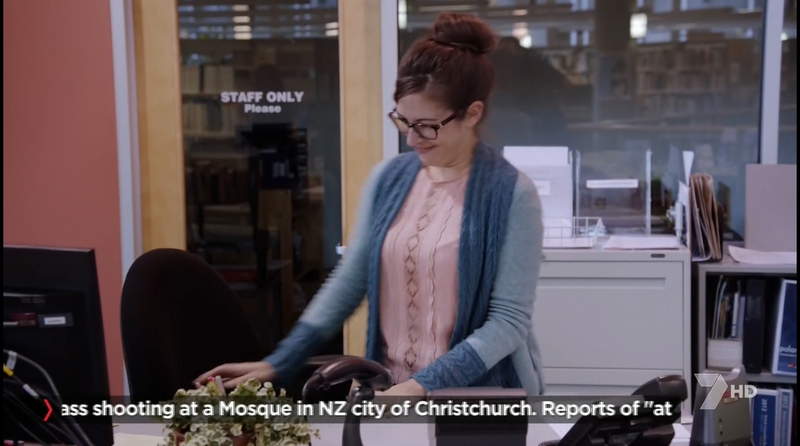 Interestingly, they have quite a strong working relationship with TVNZ - ZB's weekday breakfast host, Mike Hosking, used to also present a nightly show after the 6pm news on TVNZ 1, and some other TVNZ presenters also present radio shows on ZB and its sister stations. 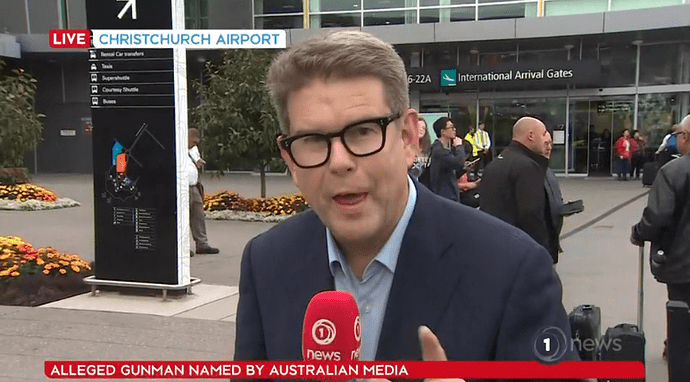 I know you wouldn't have reporters in NZ in the event something newsworthy happens for UK audience, but you'd think it would have a higher counter of foreign journalists there then it currently does. Even the Australian news coverage I've seen used the said report orters above. 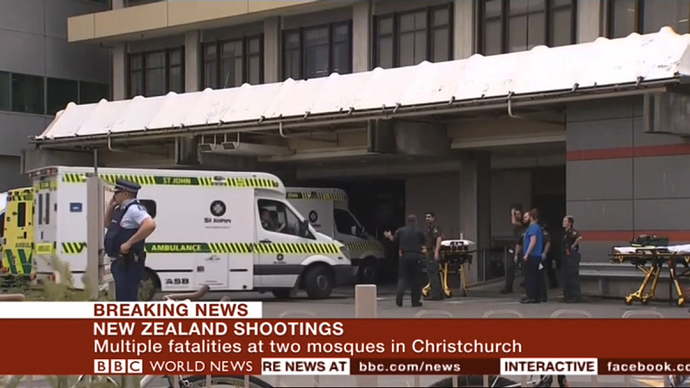 All I saw on BBC and Sky and CNN early on were the same three images on loop overnight ambulances at the hospital, ambulances driving down the road (one driving on the opposite side of the road) and police officers pointing. It took a long time (many hours) before there were more images available. I imagine there could be some polling of resources with Sky Australia even though it’s seperate ownership (like foreign branded/seperately owned and licensed CNBC and CNN journalists appearing on the main network) or and I’m sure they can use one or two of NBC’s journalists on retainer in the region. 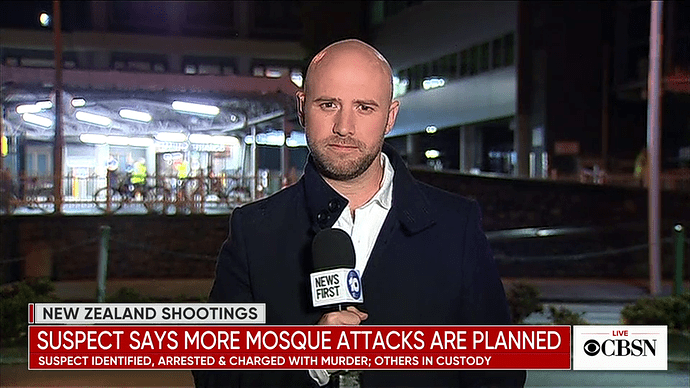 Video coverage from Australia and New Zealand. Please be aware that most of these videos contain stills and/or footage from the livestream that was shared by the attacker. As a result, most of these programmes contain images that might be seen as distressing. Please watch at your own discretion. I am only sharing these videos for the purpose of analysis and criticism of the news coverage of these stations, and am happy to remove any or all videos at the request of a moderator. In the UK a terrorism incident is a terrorism incident when the police declare it as such, not that this does much to stop speculation in the news beforehand. Of the newspapers the Guardian seem to have had a journalist in Christchurch but none of the others. The Police follow the Terrorism Act within the UK which have guidelines to what is a terror attack.